IndyCar race-winner Sebastien Bourdais reckons double Formula 1 world champion Fernando Alonso had things “almost too easy” in his first Indianapolis 500 attempt last year. Alonso has made clear his desire to return to Indy in the future – and his McLaren team is moving closer to running an IndyCar programme next year – but Bourdais believes he will find success more difficult in the future. Bourdais said IndyCar’s change to a common aerokit for 2018 had made the cars much harder to drive, and that Alonso’s Andretti Autosport car had been particularly strong in ’17. 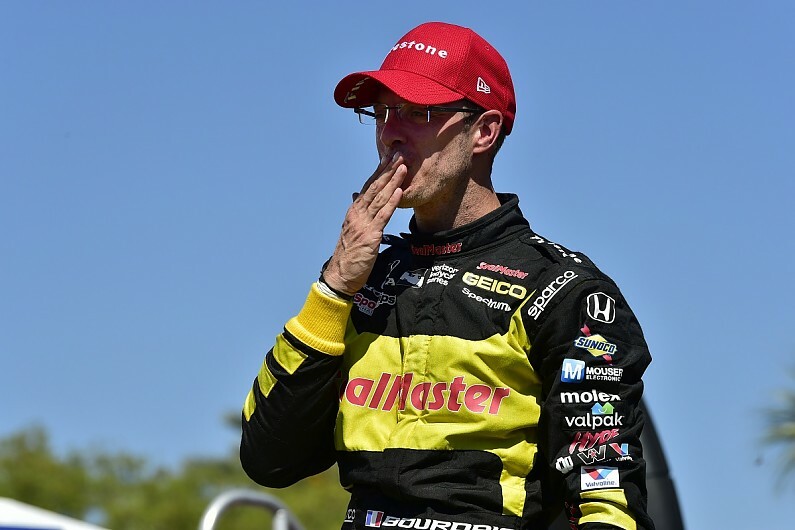 “Fernando knows how to turn a steering wheel; he knows how to stick the foot down too, so no, I wasn’t surprised at all,” four-time Champ Car champion Bourdais told Autosport. “His car was so exceptional that honestly, he almost had it too easy. “I think that had he returned this year, he would have seen that ovals can sometimes be quite mighty. Bourdais did not get to race against former F1 rival Alonso at Indy last year as he was sidelined with leg injuries from a violent qualifying crash. He said the performance his Dale Coyne Racing team was able to achieve with ex-Andretti engineer Craig Hampson showed how strong Alonso’s car would have been. “All Andretti cars are able to win, and he arrived in the perfect year in a product that was extremely well developed and extremely well controlled,” Bourdais added. “Proof of that is my engineer: he used to work at Andretti and when he arrived, we destroyed it all with what he knew until I destroyed myself too! Coyne went on to finish third in the Indy 500 with Bourdais’ team-mate Ed Jones. Alonso was a frontrunner in the race before retiring with a late engine failure. Both Bourdais and Alonso are racing in the Le Mans 24 Hours this weekend, Alonso with the Toyota LMP1 team and Bourdais with Ford’s factory GTE programme.